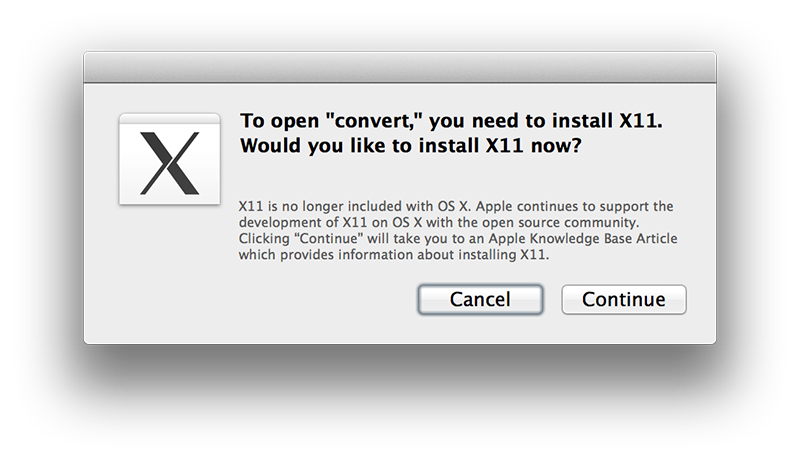 I recently upgraded to OSX 10.9 Mavericks and so far almost everything worked like it should. I am using MAMP Pro for developing web applications and TYPO3 websites locally – and therefor I rely on ImageMagick for serverside image processing. There are several ways of installing ImageMagick on OSX, some of them use Macports, I prefer a clean and lean installation through the command line (which I did when I set up my mac with 10.7). However, ImageMagick did not work properly at all after the Mavericks update. TYPO3 was complaining that “there was no suitable ImageMagick installation at all” and image processing simply did not work. 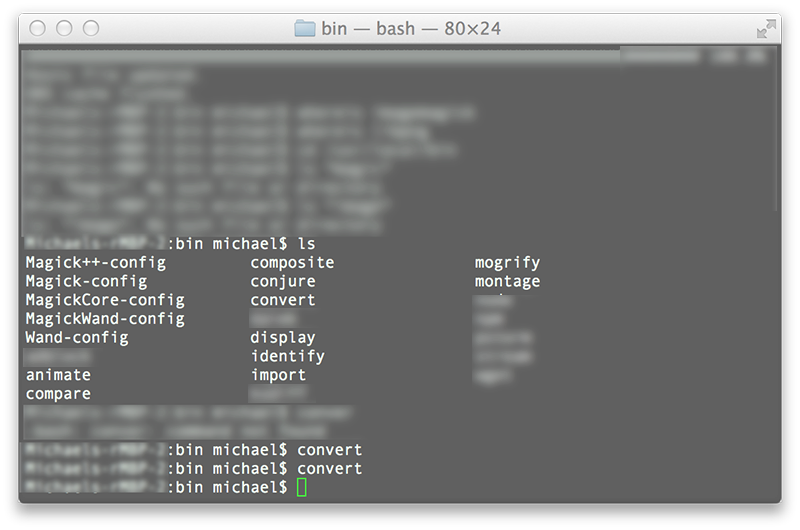 I was already looking up how to install ImageMagick again all over, when I realized the binaries where still there in /usr/local/bin. I called one of the command line tools of ImageMagick and – ‘voila’ – a real OSX popup appeared, telling me I needed QuartzX in order to run ImageMagick. Which I did, the (Mavericks compatible) download can be found here; after the installation of QuartzX everything ran smoothly again. It’s not cool that Apple breaks ImageMagick during the 10.9 update, but – there is a simple way out of it. 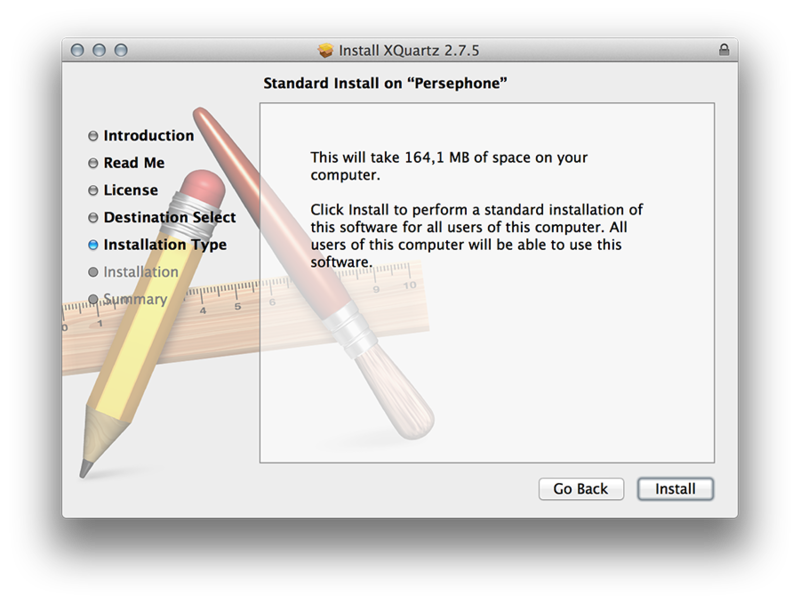 Wish the QuartzX popup / tip would have come up earlier..
Posted at 21:41 on 10/15/12 | Filed Under: osx, Work | Comments Off on iMac Super Drive seemed to be stuck/broken. Seemed!